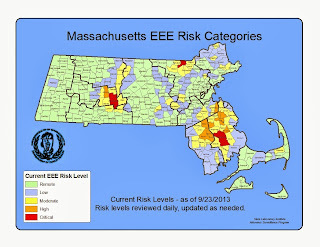 Recently the Federal Emergency Management Agency (FEMA) released redrawn flood zone maps in Essex County, which could effectively raise the flood insurance rates for many households, and lower the value of homes within flood zones. In order to hear the concerns and comments of those affected, FEMA will be hosting an open meeting from 3:00-8:00pm tonight in Lynn. FEMA officials will be on hand to speak with individuals one-on-one, locate properties on the maps, and discuss flood insurance premiums. At approximately 6:00pm FEMA officials will also offer a presentation of the redrawn maps. Where: Lynn Municipal Auditorium, 3 City Hall Square, Lynn, MA. 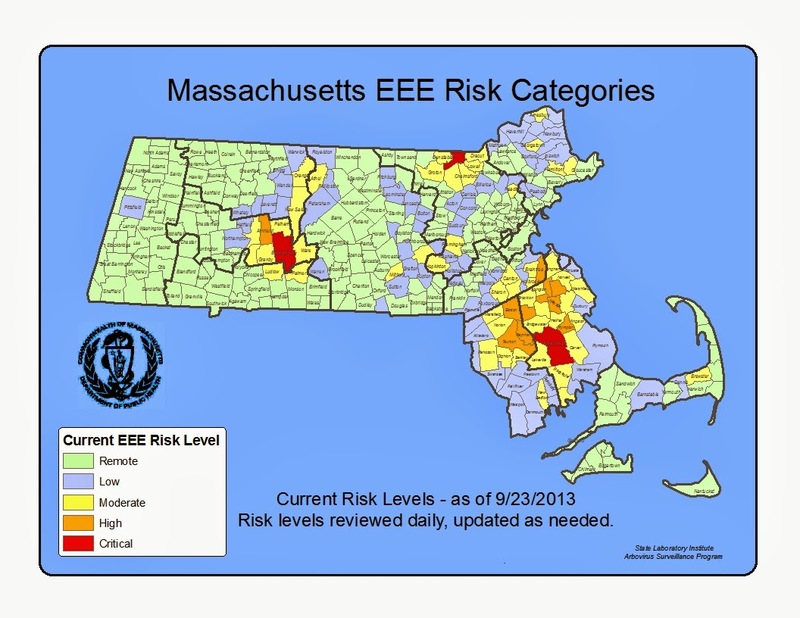 To learn more about FEMA’s newly released flood zone maps, please click here. Today the Massachusetts State Senate is scheduled to debate a bill that would repeal the computer services tax aka “Tech Tax”. The Senate Republican Caucus, along with our House counterparts, have been fighting this job killing measure since it was first introduced in January. With the passage of H. 3662, “An Act repealing the computer and software services tax”, the Commonwealth will be clearing a major hurdle in removing this measure once and for all. Please click here to visit the General Court’s main page to watch live footage of today’s debate. To read the actual text of H. 3662 please click here. On Sunday, September 21st, I was able to once again participate in the Town of Boxford’s annual Apple Festival. The town’s festival, which has now become a 50-year tradition, featured booths along Elm Street of local crafters, tours of the 1760 Holyoke-French House, vintage automobiles, great food, wonderful music, and apples harvested from area farms! Hundreds of people turned out on the beautiful, sunny day and caught a glimpse into the life of an agriculturally based community of centuries past by witnessing demonstrations of blacksmithing, and cider pressings on an authentic 19th century cider press. The Boxford Apple Festival was a lot of fun, and was a great success. I am grateful to have had the chance to attend the event, and I want to congratulate the Boxford Historical Society for all of their hard work. Through their efforts, and the efforts of local community supporters, the Apple Festival was a tremendous success. 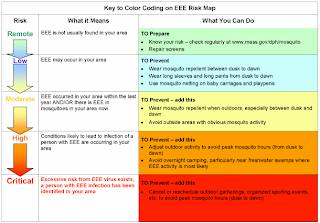 Even though the cool evenings of autumn are now upon us, it is vital to take effective measures to protect ourselves and our family members from mosquitoes. 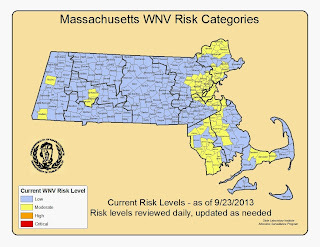 Recently there have been reports of positive tests for the West Nile Virus in our region, including the communities of North Andover and Essex. 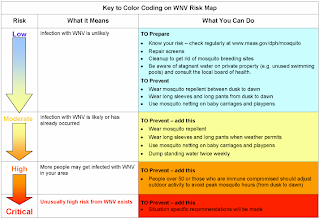 While it is important to know that the vast majority of mosquitoes are not carrying the West Nile Virus or Eastern Equine Encephalitis (EEE), the risk of infection is still very real. It is important to try and minimize early evening and night activities until the first deep frost of the year has arrived. Most mosquitoes die due to the extreme change in temperature. 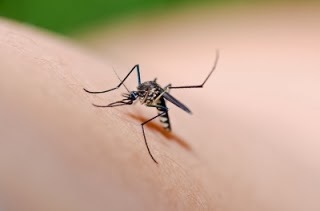 Until then if you must stay outside for long periods of time, be sure to wear long sleeved shirts and pants, and spray on mosquito repellent products containing DEET. Protecting your house is also very important. To control mosquito populations around your home, drain items that can collect water from rainfall (gutters, old tires, wading pools, birdbaths, etc.). Mosquitoes lay their eggs in standing water, which offers ideal conditions for mosquito populations to grow. Also, do a check of all your window screens. 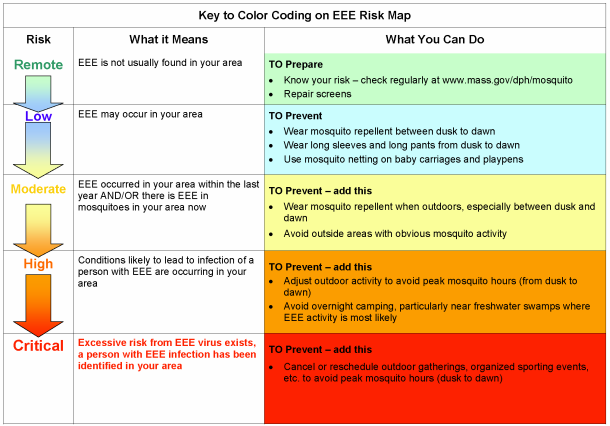 If there are any holes, it is imperative that the screens are patched to prevent mosquito bites during the night. 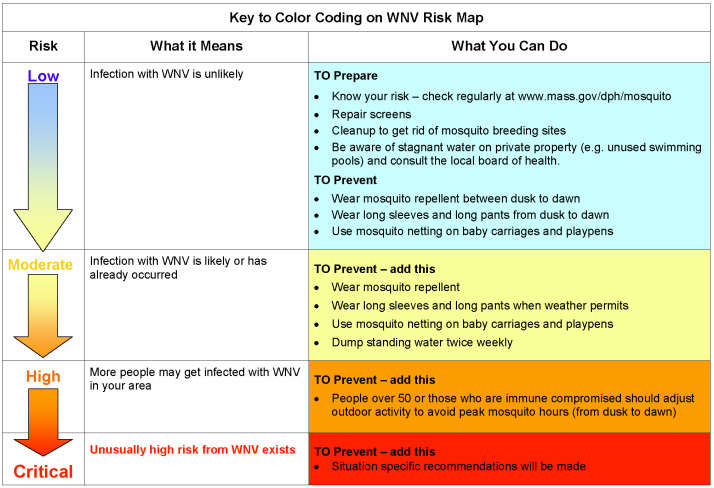 To learn more about the West Nile Virus and EEE, please click here to visit the Department of Public Health’s website. 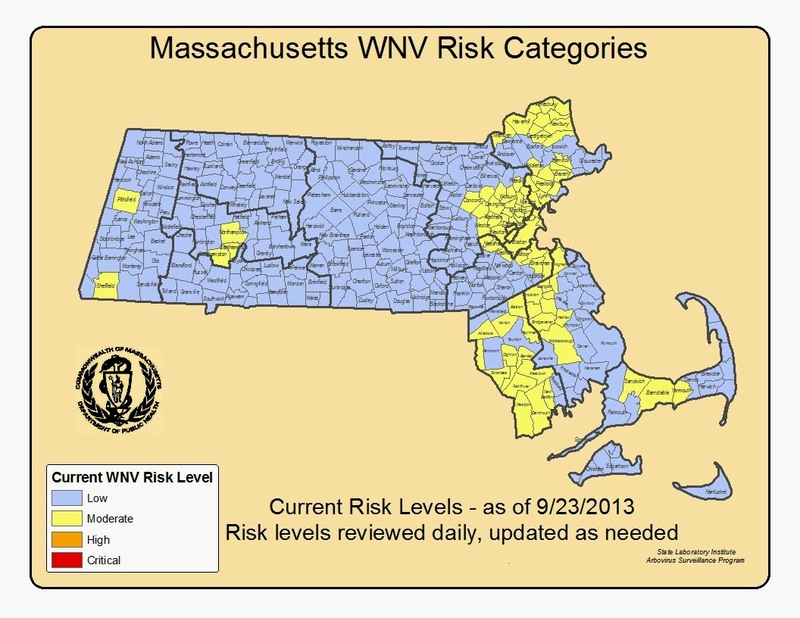 Posted below are Mosquito Risk Maps of the Commonwealth. On Sunday, September 15th Gloucester once again was the beneficiary of another beautiful sunny day to showcase the annual Fish Box Derby, which is in its 18th year of providing competitive races. I was pleased to be a spectator again this year, and was able to witness the spirited and respectful competition that the city has grown accustomed to among the many participants. The day featured spectacular fish box cars driven by the racers; support from their families, friends, and local businesses; and the contributions of countless people volunteering their time to assist this wonderful event. The Fish Box Derby held on Rogers Street truly reflects the spirit of community in Gloucester and on Cape Ann. Congratulations are in order for the competitors and to the dedicated committee that makes it all happen every year. They include Barry Pett, a member of my staff who serves as a race official for the event; Dan Conrad; Rick Isaaics; and Greg Bover. Please click here to learn more about the Gloucester Fish Box Derby. Posted below are several photos I was able to capture of the derby. Today the Massachusetts State House welcomed Major General Scott Rice of the Massachusetts National Guard and the Army and Air National Guard Units who were deployed to Iraq and Afghanistan. Cannons positioned next to the Robert Gould Shaw Memorial located at the top of the Boston Commons were fired to salute these brave soldiers and to commence the start of the event, which took place at the State House’s Memorial Hall. During today’s ceremony, units from the Massachusetts National Guard were awarded Battle Streamers by Governor Patrick honoring their efforts supporting Operations Enduring Freedom and Iraqi Freedom. On December 13, 1636 the Massachusetts National Guard, then the Massachusetts Bay Colonial Militia, was established by legislative order. Since then, the Massachusetts National Guard has created a rich and storied history serving the state and the Nation for over 375 years, including almost every American war from 1775 to the present. Today’s event provided me with a wonderful opportunity to thank those who continue to serve us overseas protecting the Commonwealth, the nation, and democracy. Posted below are several photos that were captured at the event including one where Executive Officer of the 54th Massachusetts Volunteer Infantry Regiment, Lt Col David Hencke, presented me with a commemorative 54th Regiment lapel pin. 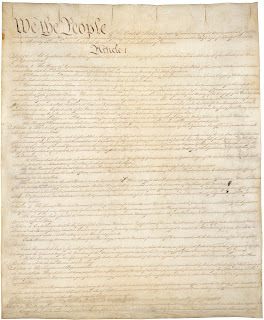 On this day in 1787 the United States Constitution was signed into law during the Constitutional Convention in Philadelphia. 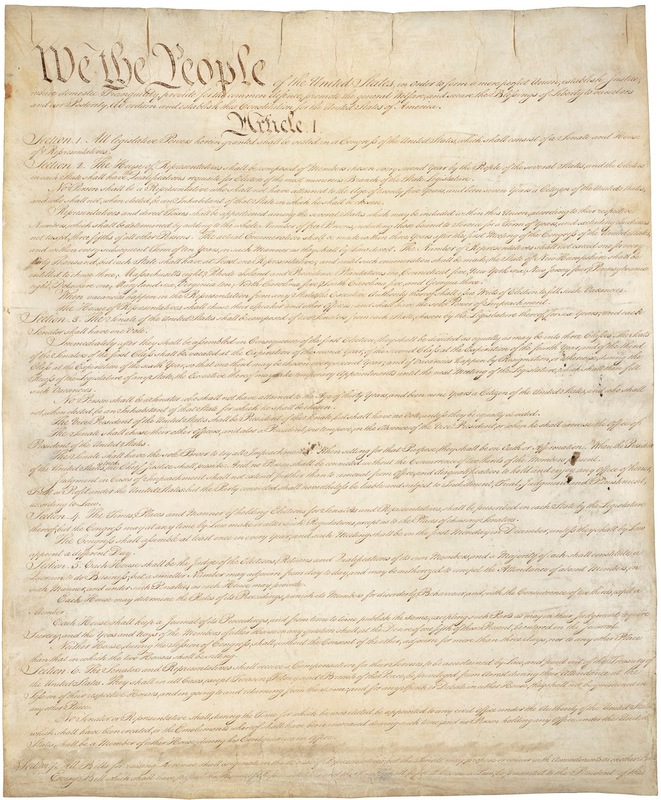 America’s constitution was the first of its kind, governing the basic rights of all men and women, and has been the source of influence for several constitutions later adopted by other countries. In today’s Gloucester Daily Times, the newspaper provides a thoughtful perspective regarding the importance of repealing the state’s recently passed computer services tax, aka the “Tech Tax”. Specifically, the Gloucester Daily Times makes the point that until the measure has been legislatively passed and signed into law, repealing the “Tech Tax” will continue to need people to support and further the measure until the repeal comes to fruition. To read today’s editorial, please click here. 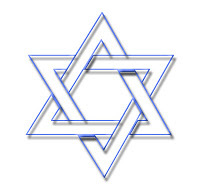 I would like to wish all of my Jewish friends, constituents, and the community an easy fast tonight as you observe Yom Kippur. "G'mar Chatimah Tovah!" Tonight at 6:00pm House Minority Leader Brad Jones and I will be featured guests on NECN’s “Broadside” with host Jim Braude. We will be discussing the technology tax that the legislature implemented in late July, and our latest efforts to repeal it. Broadside re-airs at 8:00pm, and then again at 3:30am. With heavy hearts Americans remember the 12th anniversary of the attack on the World Trade Center by the terrorist group al-Qaeda, and the one year anniversary of the assault on a U.S. Diplomatic Station in Benghazi that resulted in the deaths of four Americans including U.S. Ambassador J. Christopher Stevens, and Winchester, Massachusetts native Glen Anthony Doherty. On September 11, 2001 nearly 3,000 victims lost their lives, while thousands more continue to be inflicted with long-lasting health problems due to the cowardly actions of those terrorists. The tragic events of September 11th and the Benghazi assault continue to be felt today, and it is my hope that future generations are taught that while under attack America stood tall, did not waver, and confronted an enemy that sought so desperately to rid the world of the ideals of democracy. Together we are a proud nation of people from many different origins, and this country’s greatest strength is our willingness to unite, especially during times of trouble. With the passage of this day, may we all take a few moments to remember those we lost on the September 11th highjackings, the assault in Benghazi, those who perished while fighting the War on Terrorism, and the many military and civilian personnel who continue to protect this great nation. May we never forget the events of those fateful days. Please click “Read more” to read the name, age, hometown, and place of attack of the victims of September 11th.